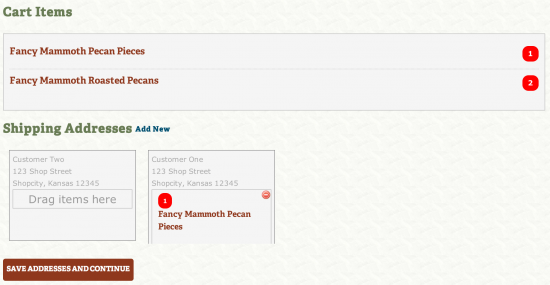 We appreciate your feedback about your support experience with WooCommerce, developers of Shipping Multiple Addresses. This helps us maintain high standards on the WooMarketplace, and helps WooCommerce improve. Convenience for your customers should be a paramount priority for any eCommerce retailer. That’s where Multiple Ship-To functionality comes in. Out of the box, with little setup, you can help avoid the frustration that can occur when a customer is shopping for multiple people at one time. Instead of forcing them to place multiple orders, they can quickly and easily ship to multiple addresses with one order. This can be especially useful around the holidays, when more and more people are doing their primary holiday shopping online.